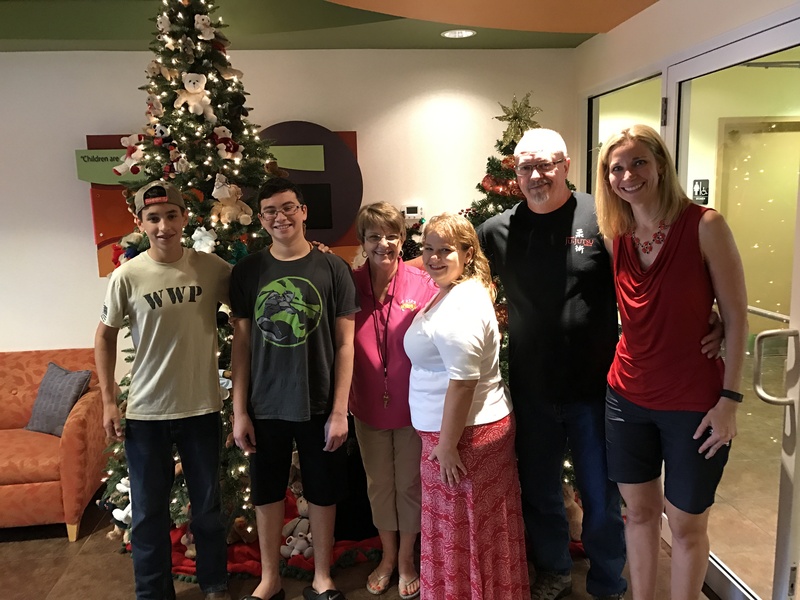 Every year the Fishhawk Martial Arts Academy supports a local organization during the holiday season. This year (2016) we once again chose to help support “A Kid’s Place” of Tampa Bay located on Lithia Pinecrest Rd. A Kid’s Place is a unique, state of the art, 60-bed facility for abused, neglected, or abandoned children. Our children range from newborns to kids ready to age out of the foster care system at 18. We were given a list of 40 Angels’ names along with gift requests for Santa. Each name / request was then placed on a paper Angel and hung from our Giving Tree in the waiting area of the dojo. Parents and students were encouraged to select an Angel and return with the unwrapped gift request. We also collected used shoes, clothing and laundry detergent which are always in high demand. On Saturday December 24th, a small contingency of volunteers packed up all the donations and delivered them to a welcoming and grateful administration. The presents were to then be distributed to the children on Christmas morning. Special thanks to Kathy Mittenzwei-Glazewski and Fishhawk Pizza for their help in making this program a success. We hope to continue to support “A Kid’s Place” in the future and look forward to even more participation from our students and parents. If you would like to support a “A Kid’s Place” check out their website (http://www.akidsplacetb.org/) for donation information.